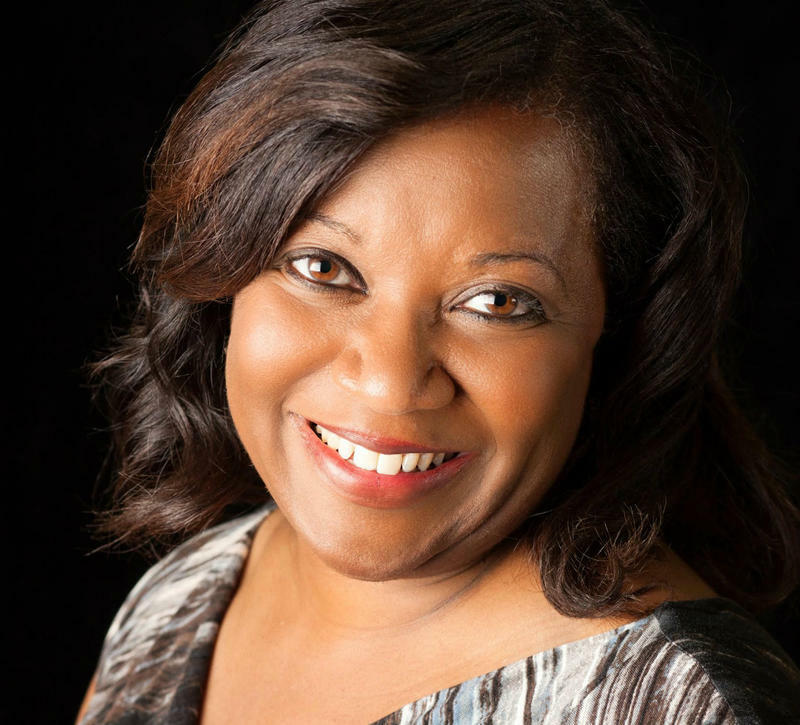 When new Regional Arts Commission (RAC) executive director Felicia Shaw realized her job at a San Diego foundation might be eliminated, she wondered what that might mean for her life. 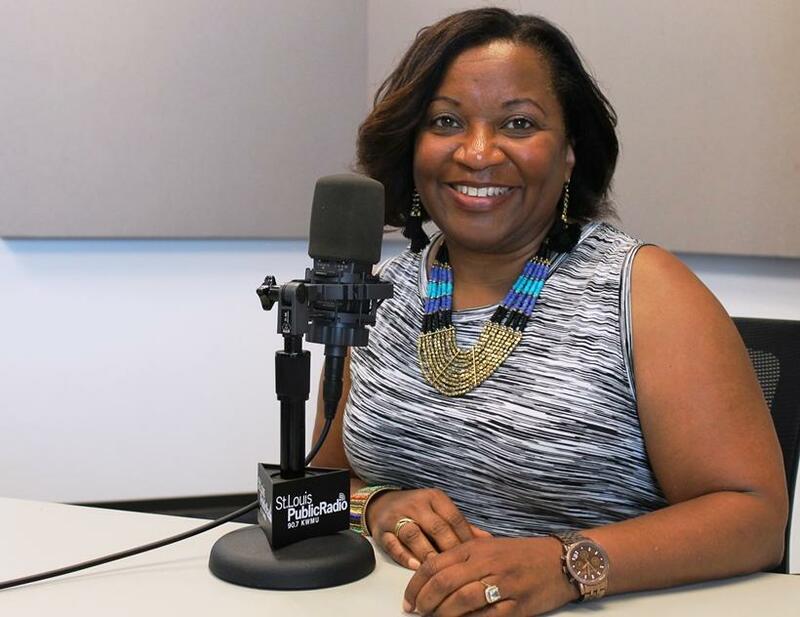 St. Louis Public Radio's Nancy Fowler talks to Felicia Shaw, new executive director of the Regional Arts Commission, about why she returned to her hometown in the wake of Ferguson protests. Last August, when Shaw listened to the news coming from her hometown of St. Louis, she went through a gamut of emotions: embarrassment, sadness, anger and guilt. What she heard loud and clear were the very same issues that drove her to move San Diego — more than three decades earlier. Felicia Shaw, new executive director of St. Louis' Regional Arts Commission, said she had a sense that this community would now "be open to change" after the events of Ferguson. “Not being progressive, the segregation, the lack of regard for rights,” Shaw said. So why return, in the face of the same old problems? In an interview with St. Louis Public Radio, Shaw said it was a combination of opportunity and timing. Her children were grown. RAC founder Jill McGuire retired. Shaw heard about the opening and applied. “I had a sense that this would be a community that would be open to change, now particularly open to change,” Shaw said. Since May, Shaw has spent the first few months of her tenure meeting with heads of organizations who receive RAC grants, from giants like the St. Louis Symphony to smaller groups like MADCO dance. 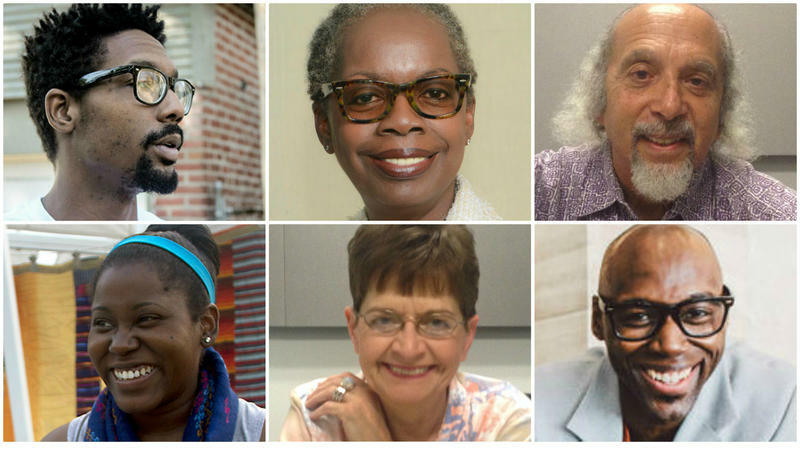 More money for minority arts? “It was all ‘the city,’” Shaw said. Other kinds of divides became apparent as Shaw met with RAC grantees. All 250-plus funded organizations were invited, resulting in five sessions with 20-30 organizations represented in each. Individual artists will get their say in meetings to be held Aug. 17 and 19. 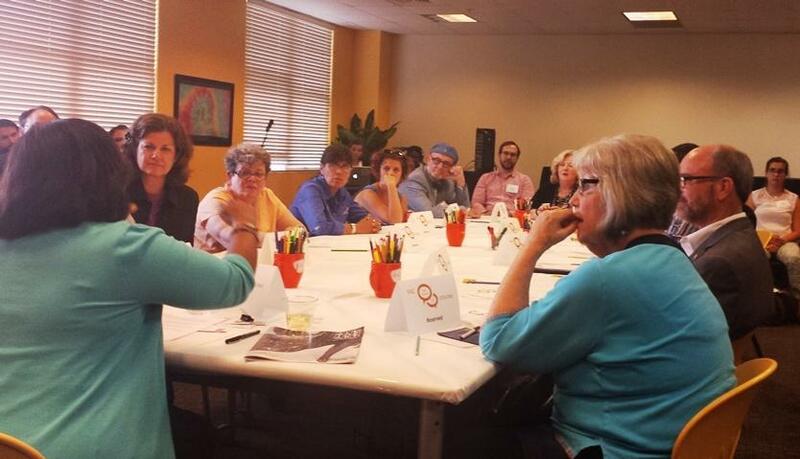 Felicia Shaw sits at the head of the table in one of five meetings with organizations that receive RAC funding. After the events of Ferguson, many organizations said they began shifting their focus to a more social-justice mission. But some groups said that wasn’t necessary, that change springs not from a specific focus but from the inherent transformation that comes from hearing music, watching a play, seeing a painting or sculpture. “[They said] ‘Art, in and of itself, is a social-change agent. The fact that when you go into a space and witness creativity, you’re being changed,’” Shaw said. That debate continues in tandem with another issue: money. Since 1985, RAC has handed out more than $93 million in grants. But who’s getting the bulk of that funding? In 2012, the National Committee for Responsive Philanthropy (NCRP) found that only 10 percent of national foundation funding for the arts goes to groups that focus on minority and other under-served populations. These institutions, according to the NCRP, predominantly “serve wealthy, white audiences ... whose attendance levels have been declining over the past few years." Shaw said the situation is not all that different in St. Louis. “There are a lot of similarities,” Shaw said. She said funding organizations, themselves, are historically responsible for setting up a precedent to give more money to Euro-centric arts like the symphony, the opera and ballet. But shifting more funds to minority organizations is a tricky task. It’s a difficult conversation — but one we must have, Shaw said. “How can we balance this, so that these small, community-based organizations that have not enjoyed years and years and years of investment, can now begin to get a foothold?” she said. Technology has revolutionized the way we consume art, Shaw said. Particularly when it comes to the performing arts. “You push the button, it’s there for you. You can have it right now,” Shaw said. Today’s on-demand entertainment is at odds with the traditional model of selling tickets, and especially subscriptions, for performances that are months away. “If you can pull up a world-class performance on your computer, watch it and enjoy it in the comfort of your slippers, in your living room, are you really going to pay for a ticket, pay to park, put fancy clothes on?” Shaw said. The bottom line: “How do we make them choose the live experience?” Shaw wondered. These are issues that don’t have quick, easy answers. But Shaw said she plans on staying in St. Louis long enough to figure it all out, along with its many implications. For the past year, a tragic and powerful muse has fed the energy and work of St. Louis-area artists. The first artists meeting held to discuss artists organizing around death of Michael Brown at the Regional Arts Commission was filled with discussion of racial divide and catharsis. The second meeting, held one week later, focused on planning and displayed a higher level of organization. “We really had to come in and declare here this is what we’re ready to do. Let’s roll up our sleeves!” said Ed Reggi, 43, artist and actor. Reggi is the primary facilitator of the event. He noted a change in tone from one week to the next. Three local artists received $1,500 each on Tuesday night to help fund projects that include home movies and ideas about the spaces where we live. In an event at The Sheldon Art Galleries, the local Critical Mass for the Visual Arts organization named the recipients of its 2015 Creative Stimulus Awards. The money helps pay for the cost of ongoing work as well as funding new projects.